Since 1863, Spencer’s has been a part of the Indian retail landscape. At one time, the Spencer’s Empire stretched from Peshawar to Cochin, from Karachi to Chittagong, spanning the length and width of undivided India. Originally owned by a British gentleman – yes, there was a Mr. Spencer (John William Spencer, to be precise) – it acquired Indian ownership in the 1960s, and became part of the RPG Group in 1989. In 1995, RPG Enterprises, the flagship company of the RPG Group, launched 'Foodworld' as a joint venture with Hong-Kong based Dairy Farm International. The joint venture, which operated supermarkets under thename 'Foodworld' and hypermarkets under the name 'Giant', was terminated in 2006. RPG retained 48 of the 93 stores it owned. These were re-furbished and their launch under the brand name, Spencer’s, kicked off a new phase in both the history of the Spencer’s brand, and retail in India. Since inception Spencer’s has been a consumer-centric brand, constantly innovating, pioneering formats, evolving over time but always keeping consumer needs and satisfaction center-stage. Back in 1920, we were the first grocery chain in India. In 1980, we became the first supermarket chain, and in 2001, we introduced India to the joys of hypermarket shopping. What has remained unchanged for 150 years is the trust that the Spencer’s brand evokes. 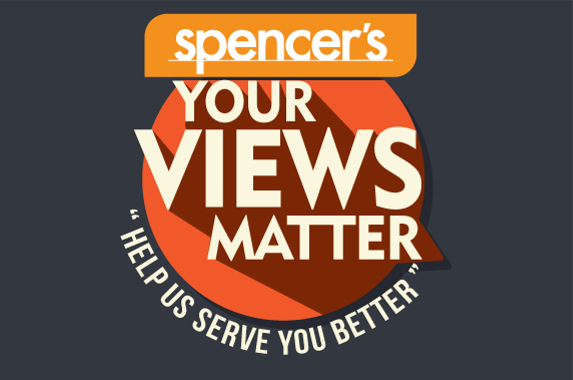 To the consumer, it carries the promise of innovation, quality, and service; the confidence that they will always be able to find a Spencer’s store at a convenient location; that it will have a pleasant ambience; and that it will offer a wide range of products at affordable prices.